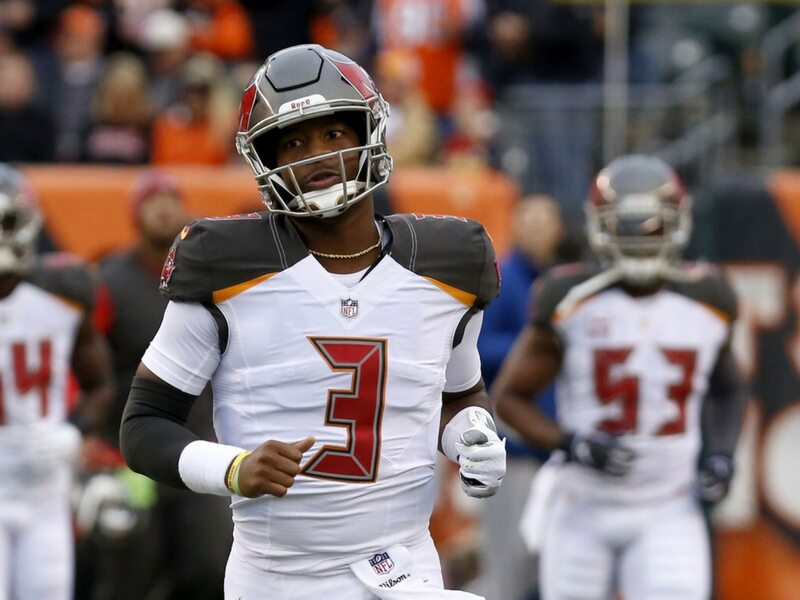 Tampa Bay Buccaneers quarterback Jameis Winston was downright atrocious against the Cincinnati Bengals on Sunday. Entering this week’s action, Winston had thrown six interceptions and fumbled the ball four times in three games (two starts). It didn’t get any better Sunday. In fact, Winston might have put up the worst performance of his career. It started with a red-zone interception early in the first quarter and culminated in a pick-six in the third quarter. All said, Winston threw four interceptions in less than three full quarters of action. And in the end, he was benched in favor of Ryan Fitzpatrick. This wasn’t lost on the football world, which reacted in kind. Jameis Winston has thrown 10 INT’s in 4 games. What's frustrating with Jameis Winston is he legitimately does a lot of things at a high level, but is the most extreme case of not being able to get out of his own way. We keep asking if the Buccaneers should trade Ryan Fitzpatrick. Maybe we should ask if they should trade Jameis Winston. Jameis I tried to have your back man-no more. You’ve shown me enough on and off the field-Bucs-move on. Too talented of an offense and assets committed to the QB to perform like this on a consistent basis. Are we done believing that Jameis Winston will ever be anything more than he currently is?